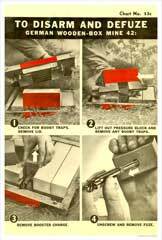 Putting on an event or just want something differant for the office wall. 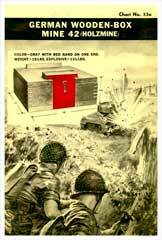 A great selection of reproduction American WW2 training posters. 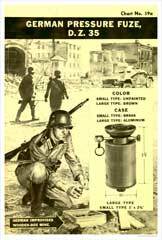 1 of 5 posters about the German Box Mine (001 - 005) this one describing its components. 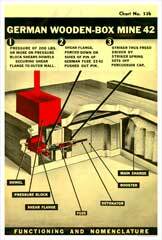 1 of 5 posters about the German Box Mine (001 - 005) this one describing how to disarm and defuze. 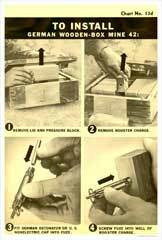 1 of 5 posters about the German Box Mine (001 - 005) this one and the following describing how to install. 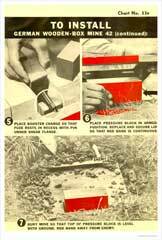 1 of 5 posters about the German Box Mine (001 - 005) this one and the previous describing how to install. 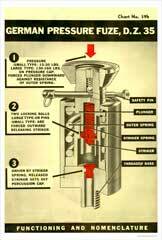 1 of 4 posters about the German Pressure Fuze (006 - 009) this one describing its components. 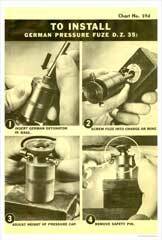 1 of 4 posters about the German Pressure Fuze (006 - 009) this one describing how to install it. 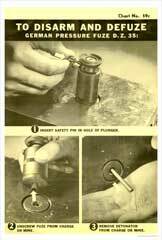 1 of 4 posters about the German Pressure Fuze (006 - 009) this one describing how to disarm and difuze it. 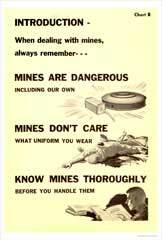 A warning of the dangers of Mines.